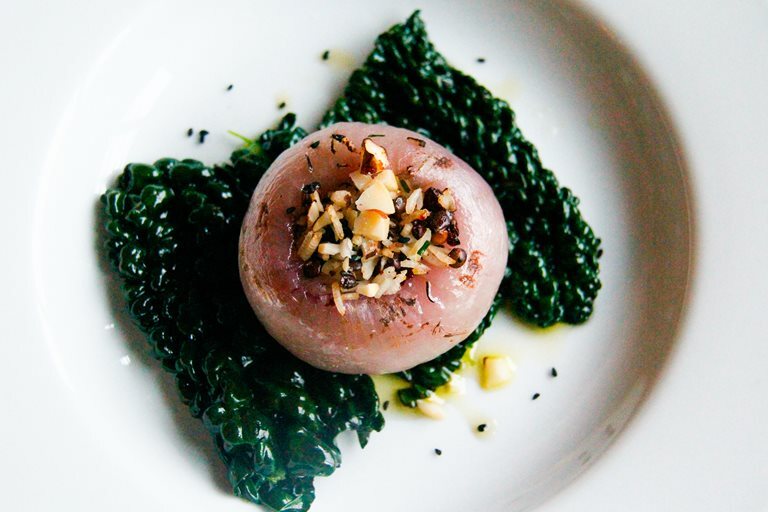 Rosana McPhee shares a unique and brilliant recipe for Stuffed pink onions, which is not just easy to create but a fabulous way to truly explore the potential of this milder onion. Pink onions? I hear you asking. Yes, not red but pink and they almost bear my name! I found some at Tesco supermarket at the vegetable aisle, looking pretty in pink! I'd never seen a pink onion before I spotted them at the supermarket this week. Rosanna pink onions are a British variety, and are grown on the Essex and Suffolk borders.They have a very subtle and slightly sweet taste that won't overpower the other ingredients in recipes. They can be chopped, sautéed or as per my recipe below boiled and then roasted. Rosanna onions can count towards to your five-a-day helping you to take care for your well-being better & help you stay in the 'pink' of health.Rosanna onions are rich in B vitamins, are naturally low in fat and also pack in a powerful antioxidant punch as contain antioxidant Quercetin. Rosanna onions have a light pink colour; are very versatile, looks and taste great in any recipe. I would definitely want to get hold of some more pink onions soon.